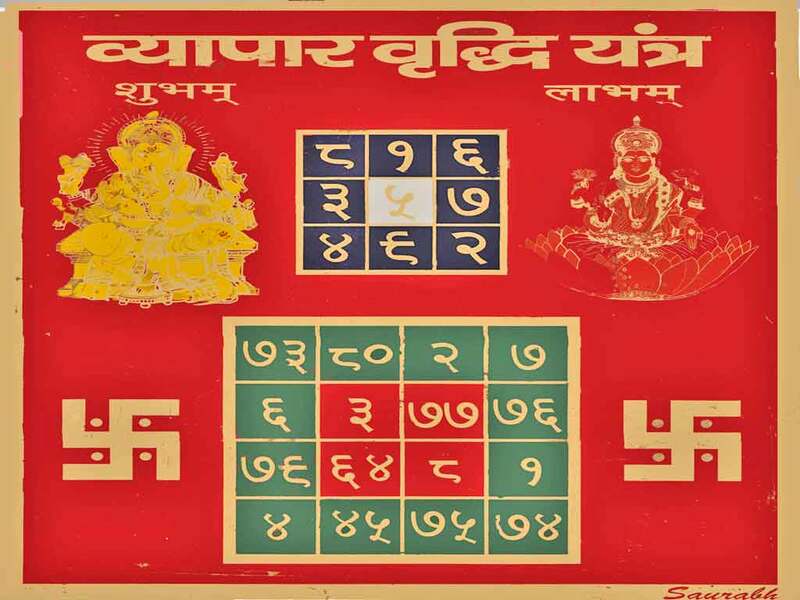 Item 37, Solid Shri Yantra, Durga Bisa & a Swastik For Wealth, Well-Being & Good Fortune. (*Special Combination Yantra). Item 38, Lucky Horseshoe Talisman Combination For Well-being, Progress, Good Luck & Wealth. (*Special Combination Yantra). 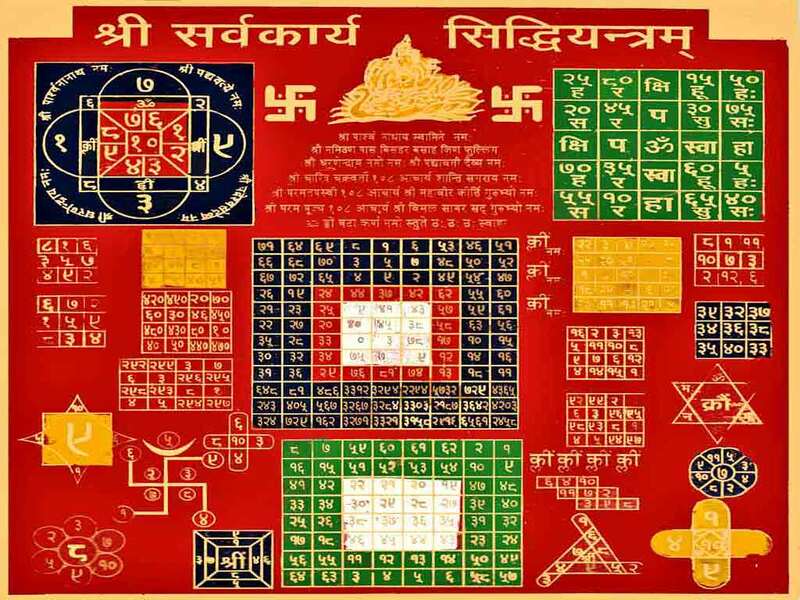 Item 39, Solid Shri Yantra, Mangal Yantras & a Swastik For Wealth, Success, Well-Being & Worldly Possessions. (*Special Combination Yantra). Item 40, Solid Shri Yantra & Mangal Yantras For Wealth, Well-Being & Harmony. (*Special Combination Yantra). Item 41, Solid Shri Yantra, Kuber Yantra & a Swastik For Wealth, Success & Worldly Possessions. (*Special Combination Yantra). 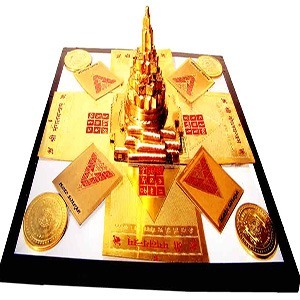 Item 42, Pyramid Shri Yantra For wealth & success. 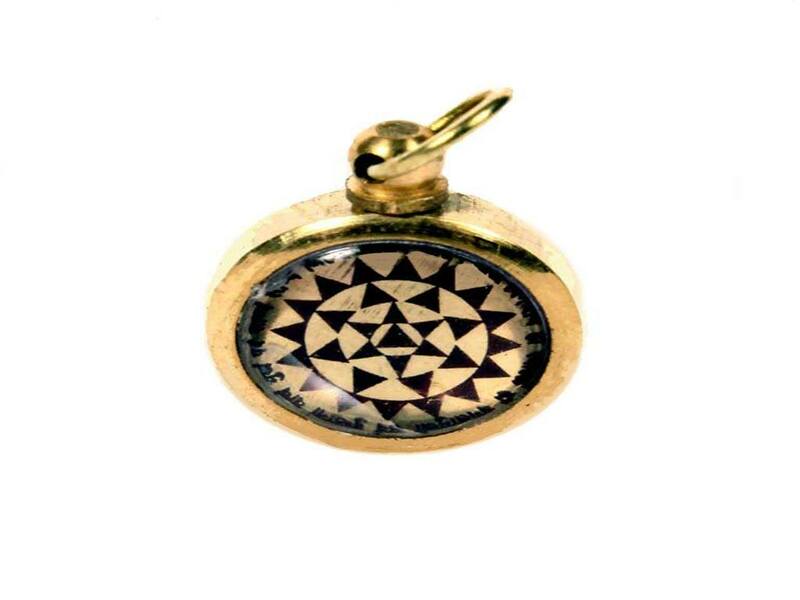 Item 43, The Money - Business Amulet For Prosperity & Success in business. Item 44, The Butterfly Amulet For Peace, Wishes & Luck. Helps to change fortunes. Each rosary has a different property. Item 45, Lotus Seed Prayer Bead Rosary For chanting prayers for wealth & prosperity. Item 46, Rudraksh Prayer Beads For inner peace, good health & good fortune. Item 47, Cut Crystal Prayer Beads For inner peace, good fortune & wealth. Item 48, Round Crystal Prayer Beads For inner peace, good fortune & wealth. Item 49, Pearl Prayer Beads For peace & prosperity. 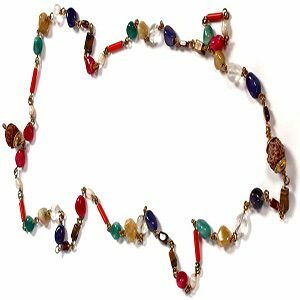 Item 50, The Nine Planet Prayer Beads For astrological harmony. Item 51, Crystal Rudraksh Prayer Beads For inner peace, good fortune & wealth. Combing the appropriate amulets allows different positive influences to work in unison. All *Special Combination Amulets will be energised in the name of the customer in a special consecration ceremony. 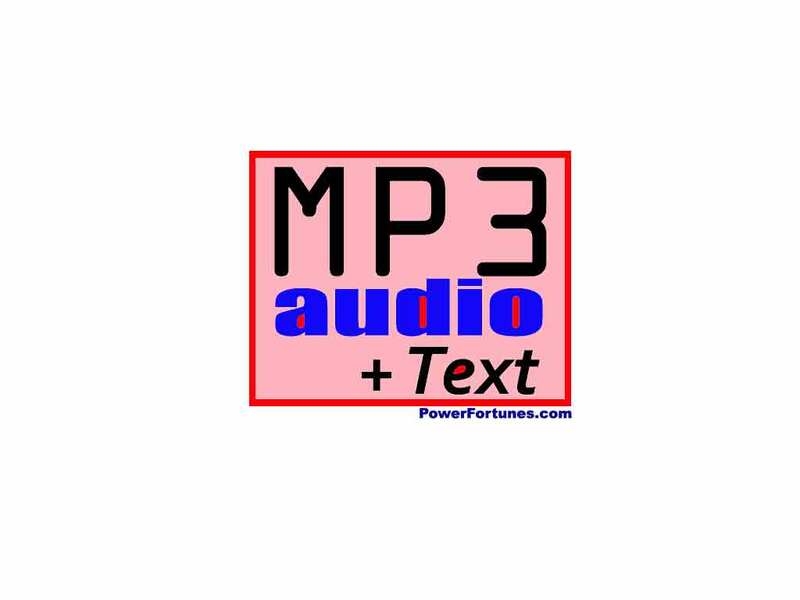 This will be sent along with the Yantra's corresponding Mantra MP3 and text files which will be sent by e-mail, FREE of charge. These are fixed amulets that have be placed in a particular location. 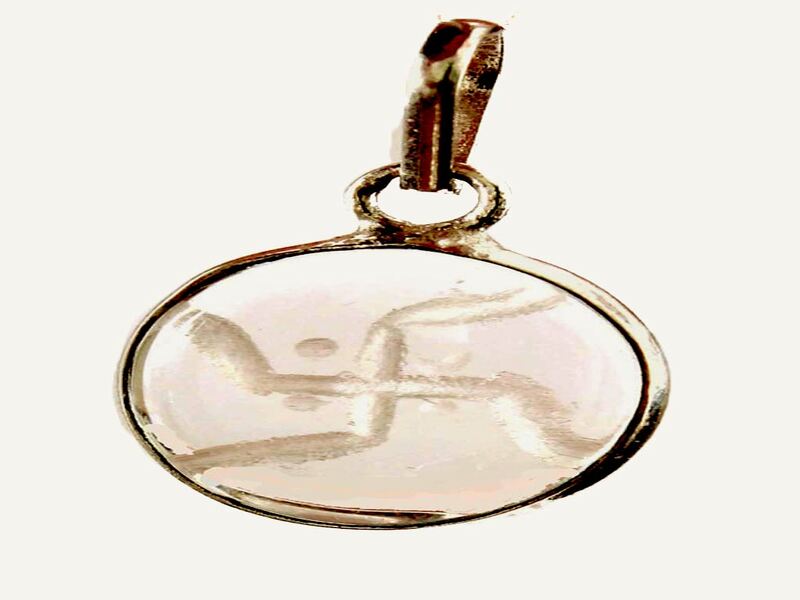 Specially energised amulets also bring about a positive influence to the surroundings in which they are placed, in addition to the person in whose name the amulet has been energised. The prayer beads are made of natural materials and can be worn and are also suitable for chanting and prayer ceremeonies.